Today, The Putt-Putt Funhouse in Webster, Texas has announced that BEAM interactive games system has been installed at the facility. 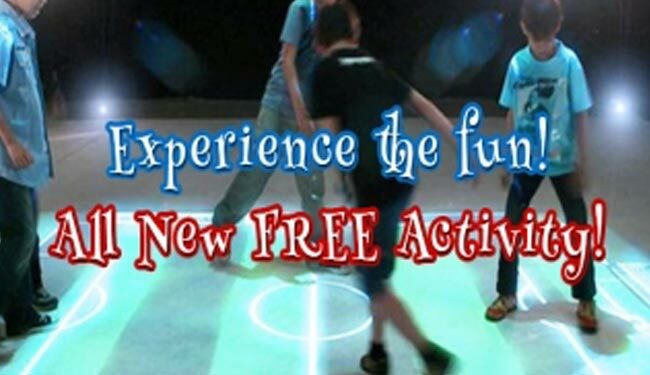 Putt-Putt Funhouse are currently highlighting the attraction on the home page of their website http://www.puttputtfunhouse.com and promoting it as an “all new free activity.” To date, this new interactive display attraction has been popular with younger children at Putt-Putt Funhouse as well as their parents. The BEAM allows children to interact in a virtual environment and play a variety of colorful games including Ball Pit, Balloons, Drums, Super Soccer and many others. Putt-Putt FunHouse provides a variety of indoor and outdoor activities. There is also entertainment that is free of charge including free interactive kiosks throughout the building called Fun Facts and FunHouse mirrors, games, and puzzles. The BEAM is the newest interactive display attraction that is completely free to visitors. Customers can also load Play Cards with credits for food at the Putt-Putt FunHouse Cafe and various activities and games including Putt-Putt Golf, Laser tag, Bumper Cars, Bumper Boats, 3D Motion Theater , Rock Climbing Wall, and Ballocity as well as Lazer Frenzy, Mini Bowling, and Time Freak. The Putt-Putt FunHouse has been an institution in the greater Houston area for over 30 years. They have received multiple recognitions including #1 miniature golf course by Houston Chronicle’s Chron.Com. In addition to indoor and outdoor attractions that are open on a daily basis, Putt-Putt Fun House offers birthday parties and outings for groups. It is conveniently located from other popular area attractions like the Johnson Space Center (NASA) and Space Center Houston.